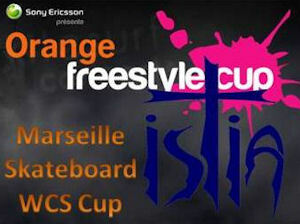 I Skate, Therefore I Am: Orange Freestyle Cup 2011. Skate Park, Le Prado, plage Borély, at Marseille. 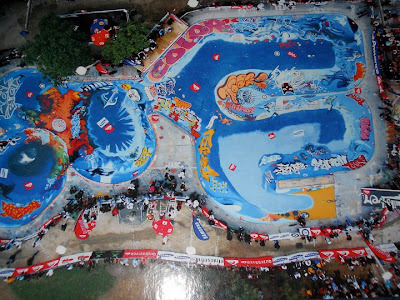 Orange Freestyle Cup 2011. Skate Park, Le Prado, plage Borély, at Marseille. Long a place for skateboarding, the Prado Bowl will host again this year the Ex-Massillia New-Orange Frestyle Skateboard Cup for in 2011, thanks to Wade Speyer, John Cardiel, Omar Hassan, Tony Trujillo, Rune Glifberg and all of the other legendary skaters who came through Marseille in years past to light the spirit of bowlriding here and blaze the trail. And this year other skateboard legends, Sandro Dias, Zach Miller, Nolan Monroe, Ben Johnson, Steven Pineiro, Milton Martinez, Mark Partain, Lester Kasai, Dave Reul, Jason Parkes, Sean Goff, Jim the Skin, Ben Schroeder, Daniel Cardone, Luca Sorgente, Guillam Mocquin, Alex Giraud, Julien Benoliel, Allan Mesquita, David Marteleur, Max Verohanitra and more are participating. Now officially with Powell, 18 year-old Nolan Munroe has also been qualified for the WCS Orange Cup in France. It’s gonna be an amazing trip for Nolan who got a call from the team manager at Powell-Peralta just before isTia interviewed him letting him know that they were putting him on the team. Before leaving for France tomorrow, he took his time to answer a couple of questions for isTia. Nolan Munroe is primarily a bowl skater and a great contest kid who is an X Games rookie, and was 5th overall in the World Cup Skateboarding bowl rankings in 2009 and 7th in 2007. Nolan finished 5th at the prestigious ProTec Pool Party in May 2010. He was an alternate at XG in 2010 and thrown into the Park field less than an hour before Eliminations began; he easily made the Final. Nolan is a ripper from Rindge New Hampshire. Steven Pineiro on his 1st day at Le Prado bowl at Marseille. 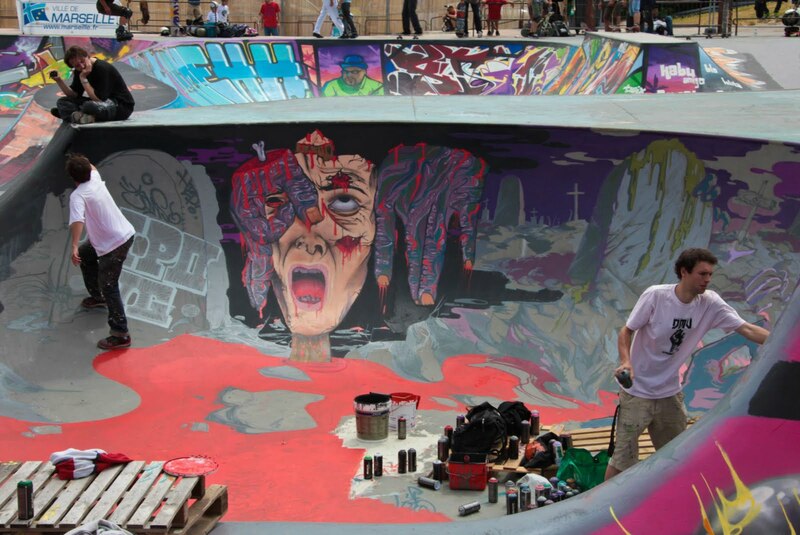 Located right on the beach in the Prado seaside area, Marseille Skatepark is considered as a "must skate" and have been rated 9/10 by Trasher Skateboard Magazine. It has also been rated the best bowl by the beach by skatedaily.net together with Bondi Bowl and Venice Skatepark. For the Prado bowl, everything started right before the 90’s during the second wave of "skate". In Marseille there was no ramp just good skaters in search of good of curves. The mayor of Marseilles offered them a rectangular park, plus a wooden mini ramp. Unfortunately, most of the skaters from Marseilles preferred to skate a legendary ditch called “la ditch du Roy d'Espagne” but that was not sufficient. Jean Pierre Collinet, a skater and an architecture student in Marseille, decided with his buddies, members of the local skate club les "Street Bombs", to strike a major blow by having the Town Hall realize a Bowl. In 2010, Guillaume Mocquin was crowned the King of the weekend, but not without a tough battle with Spain’s Ivan Rivado who finished a very strong 2nd, bumping Alex Giraud down to 3rd. Alex was in 2nd behind Guilliaume all week. It seems that Alex has been on the podium at most of the Marseille comps. Italy’s Daniel Cardone skated hard all week and finished in a very respectable 4th. The 15 year old local ripper Stephan Boussac was the winner of the 15 and under groms on Wednesday, 9th on Friday, 5th on Saturday, and finished a strong 5th on Sunday as well. He put his name in the history books alongside of Wade Speyer and Alex Chalmers by jumping from the snake run into the bowl, conquering the biggest gap in the whole park! He did it 1st try in the finals!